I remember making Shrinky Dinks® as a kid, I loved to watch my creations curl up and shrink like magic and once they were done I’d have a pocket sized treasure I created. When I found out they still made Shrinky Dink® paper, I was so excited to share the magic with my own kids! 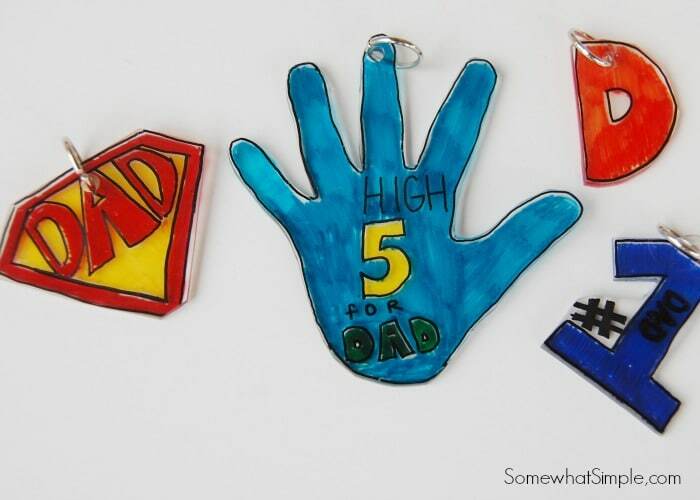 For our first creations, we decided to make Shrinky Dink Key Chains for Father’s Day. My kids had a blast making these, I think everyone’s favorite was my daughters hand. We traced her life size hand and the end result was a tiny hand print the size of a doll. They are so excited to give their dad a gift they created all by themselves for Father’s Day! 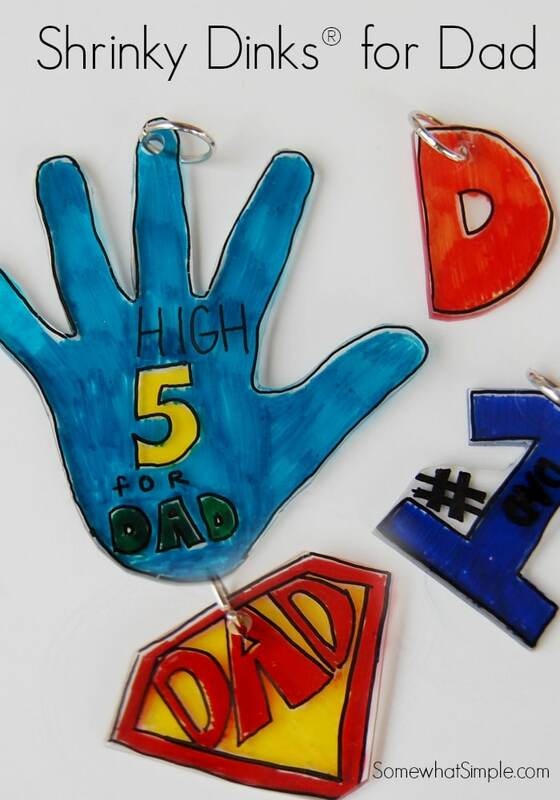 Begin by outlining desired shape onto Shrinky Dink® paper with black permanent marker. Flip paper over and use colored permanent markers to color inside design. 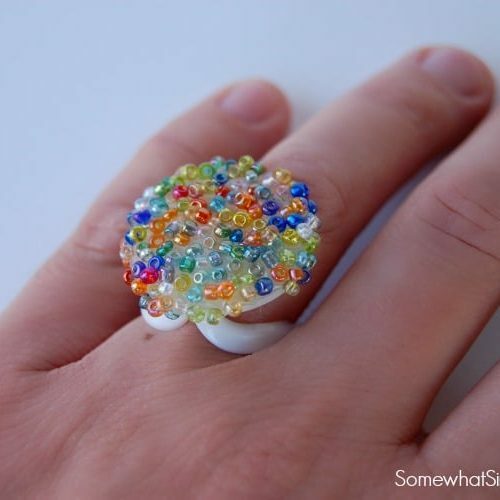 Cut out your creation and use a standard hole punch to create a hole where key chain ring will go. Cut out a piece of the brown paper bag large enough to place Shrinky Dink® creation onto. Place the paper bag onto cookie sheet and then lay Shrinky Dink® on top of paper bag with the colored side facing up. Cook for 1-3 minutes, or until Shrinky Dink® has curled up and then laid down flat for at least 30 seconds. Remove from oven, let cool for 10-15 seconds. Once your creation has cooled, add key chain ring. Such an easy, creative, personalized gift for daddy! Really it’s an awesome gift. I like it very much.